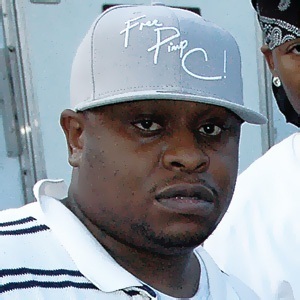 As 1/3 of the Geto Boys, Brad "Scarface" Jordan is quite frankly the greatest artist to ever emerge from the South. I'm a long time fan of his and when you think of his track record, it's almost flawless, as he has one of the most stellar discographies in hip hop history. He has one of the smoothest, yet compelling flows I've ever heard, as his mic presence and lyrical prowess commands your attention from beginning to end, and not too many artists have that, especially in today's hip hop world. Speaking of his discography, I'm going to enjoy presenting my thoughts. Face is one of few artists who delivered a 5 star album on their debut, and he delivered in spades on this one. This is perhaps the most "gangsta" album of all his albums. He would only get better from here. This excellent album is the least recognized album in his discography. Released in a somewhat crowded 93 (which is/was not a bad thing), I'll chalk it up to this album being lost in the shuffle at the time. Face returned with a vengeance one year after "The World Is Yours" dropped. He certainly got better and really perfected his craft with this classic album, especially in terms of his lyrics, subject matter, flow, storytelling, and production. Definitely one of the best albums of 1994. The excellence continues with 97's "The Untouchable". I feel it was released quietly in 97, but that doesn't take away from this album one bit. It's just as good as "The Diary", but overall not better. He just continued to get better with each release. Wow, MORE excellence from Face (the "E" in Scarface just may stand for excellent), as we have, in my opinion, the 2nd best album of 2000 (behind Ghostface's "Supreme Clientele"). I also recall around this time, either before or after, he won "Lyricist of the Year" at The Source Awards, and I feel this album had a lot to do with it. It's nothing but greatness all around on this album, and had it not been for a song I feel shouldn't have made this album, "In & Out", this would be a 5 star album, no question. OH YES, a straight CLASSIC right here and my favorite Scarface album. I have an interesting story. "WOW. Well, I'm going to keep it real on this one. I like both albums A LOT, and in one of the RARE times I vote AGAINST a NAS album, I'm going with The Fix on this one, but not in a blowout." I surprised a few people, as well as made a few proud, lol, mainly because in a rare instance I was voting AGAINST a NAS album, something I rarely do. That right there shows how GREAT "The Fix" is. Filler? NO. Excellence all around? Yes. This album essentially had it all and it still holds up today. I'll go out on a limb and say this is his best album, although some may say it's challenged by his first and third album, respectively. I've always heard that this was not a true Scarface solo album, but rather something that Rap A Lot CEO J. Prince decided to package and release in an effort to cash in on Scarface. Be that as it may, history has judged this album as a Face solo album, and while it's not on the level of any of his other releases, it's still very good. I really anticipated this one prior to its release, and it's another excellent album, not a classic though. Don't let my lack of words on this album fool you, it's still classic Face here. I purchased this one on the day of its release (December 4, 2007), along with Ghostface's "The Big Doe Rehab", which was also released the same day. Most likely due to, again, the ever changing face (no pun intended) of hip hop, it's like this good album came and went in 2008 with literally no fanfare whatsoever. I would say Face was capable of more, considering it was rumored to be his last album, but it's definitely not disappointing. Take a look at this, all of his albums are either 4 stars or better, and I don't think any artist can say that, not even Nas and Jay-Z, and they are my number one and two, lol! Saying Scarface has a Hall of Fame career is certainly an understatement. Most of his work with the Geto Boys is timeless, and his solo discography is about as excellent as you can get. I still hope he releases "Rooted" at some point, as it will definitely have the potential to be one of the best albums of the year. It was announced that he and Beanie Sigel would release a joint album titled "Mac N Brad: The First 48", but that may be in question considering Sigel's recent incarceration and it's not known if the album is completed or not. One thing I do know is that Scarface is one of the greatest of all time.